When it comes to early diagnosis of Lyme disease, the insidious tick-borne illness that afflicts about 300,000 Americans annually, finding the proverbial needle in the haystack might be a far easier challenge–until now, perhaps. 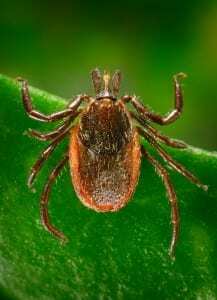 An experimental method developed by federal and university researchers appears capable of detecting the stealthy culprit Lyme bacteria at the earliest time of infection, when currently available tests are often still negative. The team suggests the approach might also be useful for early detection of other elusive bacterial infections. The collaborators–from the National Institute of Standards and Technology (NIST), Institute for Bioscience and Biotechnology Research, and Johns Hopkins School of Medicine–recently reported the successful first trial of their new method. “Our hypothesis was that Lyme bacteria shed vesicle-like particles–or fragments–derived from the cell wall of the bacteria circulating in the serum of individuals. These particles would contain membrane proteins that can be detected to provide a unique indicator of infection,” explains NIST research chemist Larik Turko. The challenge was to detect these bacterial membrane proteins among the far, far more plentiful proteins normally present in serum, the watery, cell-free component of blood. The researchers speculated that running serum samples through a high-speed centrifuge–a standard step in chemistry labs–might selectively concentrate the larger, heavier fragments containing the bacterial membrane proteins into pellets. In effect, they predicted, this step would separate the wheat–the sparse target proteins–from the chaff–the much more abundant human serum proteins. 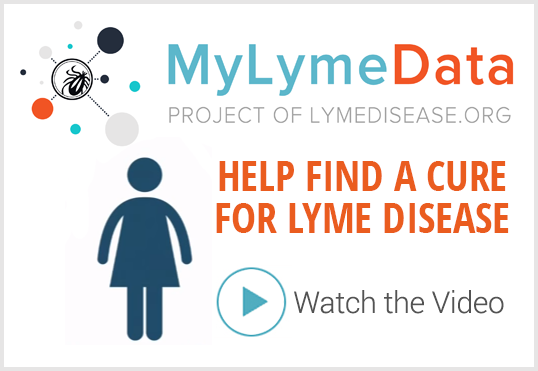 The new method’s promise was demonstrated in tests on serum samples drawn from three patients with undetected Lyme disease at the time of their initial doctor visit. By customizing standard analytical techniques for determining the types and amounts of chemicals in a sample, the team detected extremely small amounts of the target protein in all three samples. For chemistry buffs, the protein in enriched samples was present at a level of about four billionths of a millionth of a mole, the standard unit for amount of substance. In one patient, the experimental method detected the bacteria three weeks before infection was confirmed with the standard blood tests now used. For the other two, infection was detected simultaneously by the two methods. Aucott will feature the joint study as an example in his 2016 AAAS Annual Meeting presentation, Big Data Clinical Realities and the Human Dimensions of Interoperable Data. 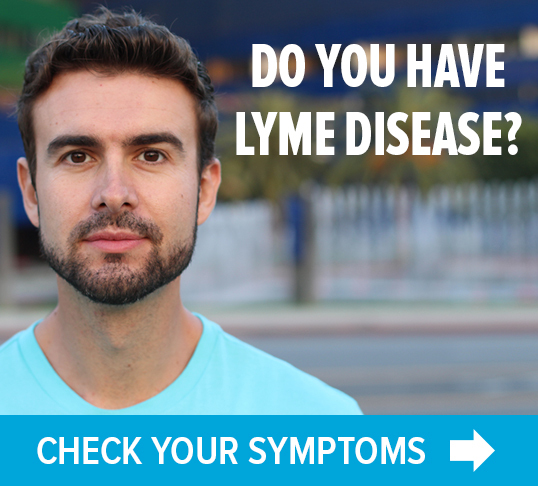 The current standard blood test for Lyme disease exposes the infection only after antibodies have accumulated to detectable levels, which can take up to 4 to 6 weeks. If patients exhibit a telltale bull’s-eye rash, diagnosis and treatment can begin earlier. But the rash does not occur in 20 to 30 percent of Lyme disease patients, according to the Centers for Disease Control and Prevention. Rather than waiting for an infected person’s immune system to produce noticeable amounts of antibodies, the team chose to home in on the bacteria itself–specifically, proteins the bug sheds when attacked by the body’s defenses. But finding that target required an important preliminary step to ensure the accuracy of their measurements: making a reference sample that contained ample amounts of the target protein. With the reference sample, the team established the unmistakable signature the bug’s outer-surface membrane protein would yield when they examined samples drawn from patients. As a result of these steps, the team could detect the copies of the target protein, even though human proteins were 10 million times more plentiful. “We believe that this approach may be universally applicable to detection of other bacterial infections in humans,” the researchers write. Article: C.S.F. Cheung, K.W. Anderson, K.Y. Villatoro Benitez, M.J. Soloski, J.N. Aucott, K.W. Phinney, and I.V. Turko, “Quantification of Borrelia burgdorferi Membrane Proteins in Human Serum: A New Concept for Detection of Bacterial Infection.” Analytical Chemistry (2015) 87, 11383-11388.
useless info unless a name is given which can be given to docs to order…please amend this post!! This test is still in the experimental stage. It is not yet available to be ordered by doctors.